As with most things in life, having a system or a process will usually lead to greater efficiency. The same is true when it comes to looking at the yearly cycle of tax and finance. There are 2 keys tax cycles that doctors should be aware of – the financial year of 1 July to 30 June; and the fringe benefits year which runs 1 April to 31 March. 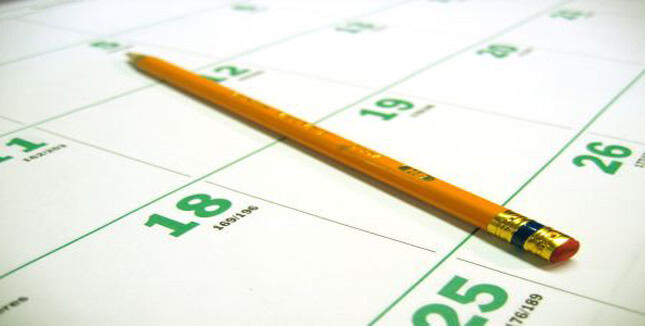 So let’s run through some key dates where you should be reviewing, submitting or implementing changes. Have an enjoyable holiday season. As you can see there is a financial activity that falls in every month, which means you spread out your financial decision making and break it down into bite sized pieces. This not only makes the process of good financial management less intimidating but also allows you to focus on the key issue for the month, in the right month! A good accounting and financial planning relationship will address all of these issues and provide you the support to make the right decisions. Please contact MEDIQ if you need this support.